Burglary crimes deal with situations when someone illegally enters or remains in some place with the intent to commit a crime. This crime is independent of any other crimes committed during a burglary, like theft or assault. Theft crimes are separated into three degrees, each with its own set of penalties. If a person enters a Kent home or business with the intent to commit a crime, they could face the serious repercussions of a burglary conviction. Even if they choose not to follow through with the intended crime, they may still be charged with burglary and prosecuted to the fullest extent of the law. First Degree Burglary is a Class A felony, the most serious felony you can be charged with. If you are convicted of first degree burglary, you will face the very-real prospect of time in prison. If burglary is committed with a deadly weapon or an another person is assaulted during the act, this is the charge that will likely be levied. 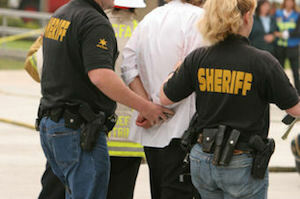 Second Degree Burglary is a Class B felony, which incurs devastating penalties, if convicted. You can be charged with second degree burglary in Washington if you enter any building (except a personal residence)with criminal intent. Residential Burglary is another Class B felony charged when someone enters a home or dwelling to commit an illegal act. Avoiding the full impact of a conviction should be your primary goal, which is why a resolute defense is so important. Get help from our Kent burglary lawyers, and make sure you are doing everything you can to protect your freedom. We will act as your personal advocate with the court, seeking any legal means possible to pursue the dismissal of your charges or the reduction of the punishments associated with burglary. The prosecution is required to prove that the defendant in a burglary case entered or remained on private property with the intention of committing a crime. This is never easy, which is why our Kent burglary attorneys conduct their own investigation of the facts. If any evidence was obtained illegally, we can petition the court to have it suppressed. If you have no prior criminal convictions, our Kent burglary lawyers will and can make restitution, we may be able to pursue a diversion program, which will prevent you from obtaining a criminal record. our number-one goal is to defend your legal rights, and pursue beneficial negotiations with the prosecution. Burglary charges may also accompany other criminal charges, so make sure you work with a team of lawyers who are well-versed in all areas of Washington criminal law.